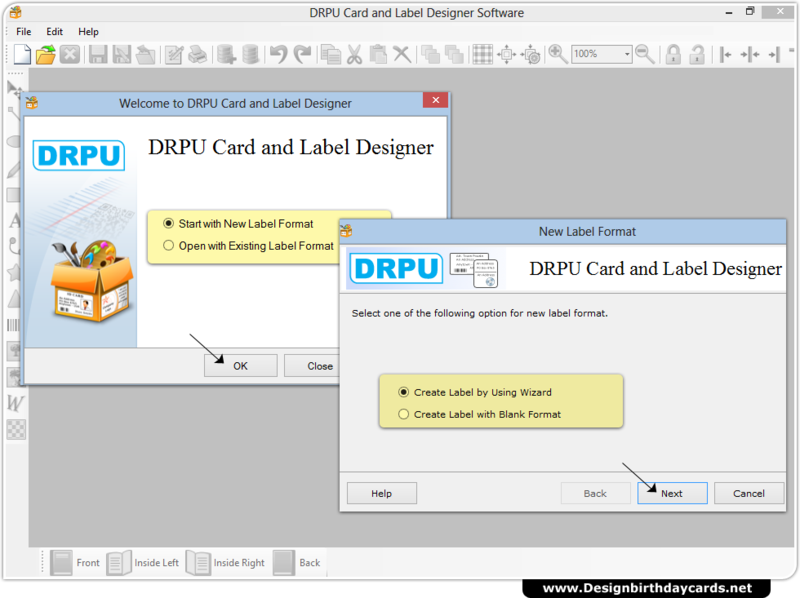 Design your Card using ‘Start with new label format’ and select designing option for new label format. 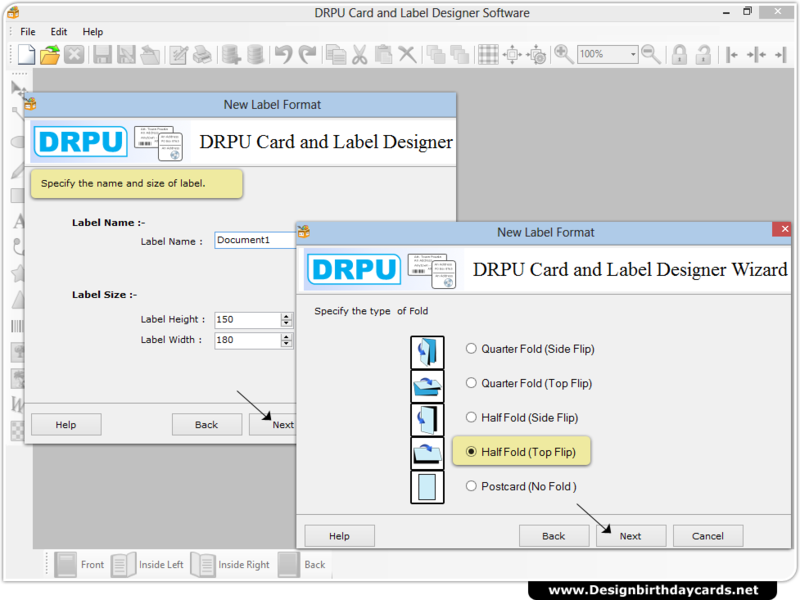 Specify label name, size and type of fold. 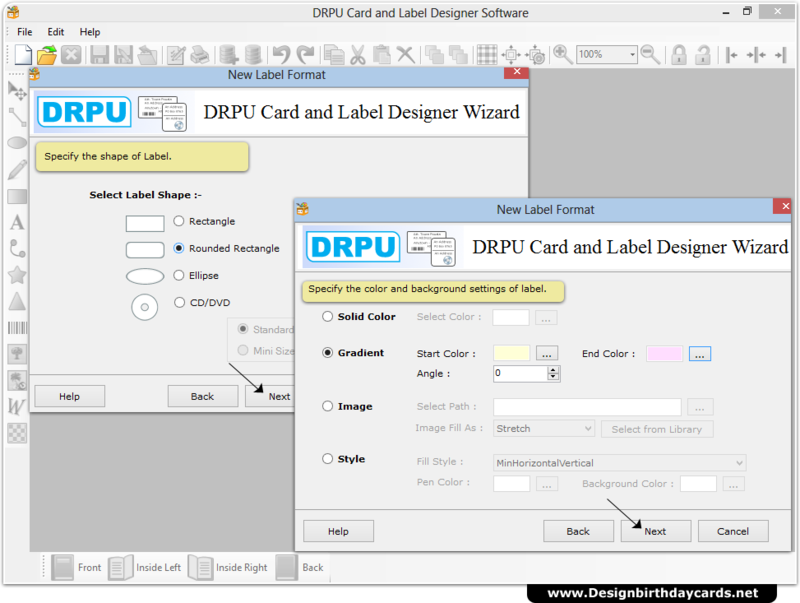 Specify label shape, text color and background color. 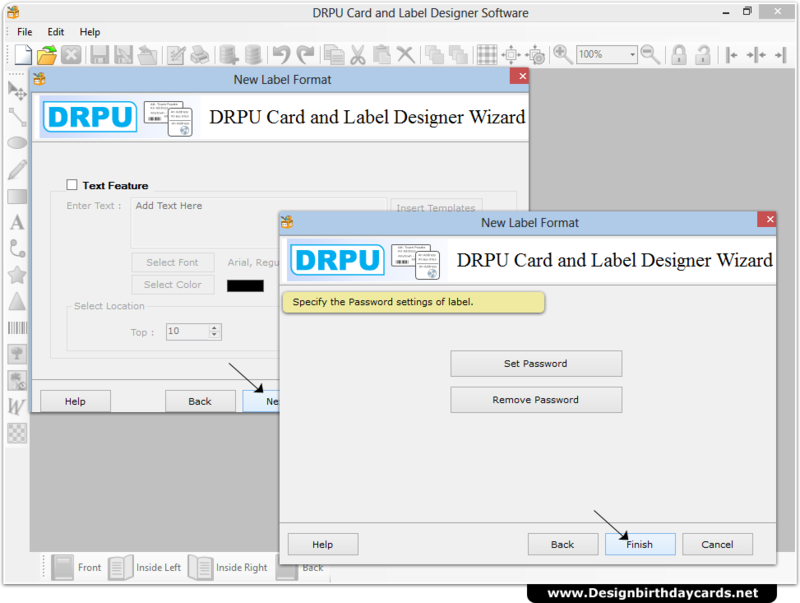 Add text using text feature and set password for authorized access. 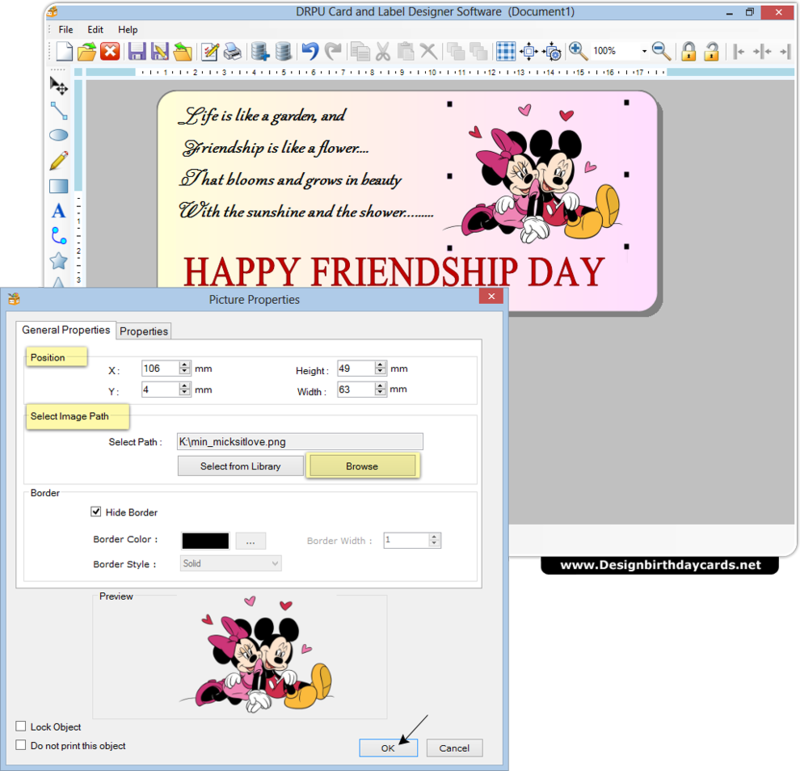 Add image using picture property. Go to general tab to set position and browse image path. 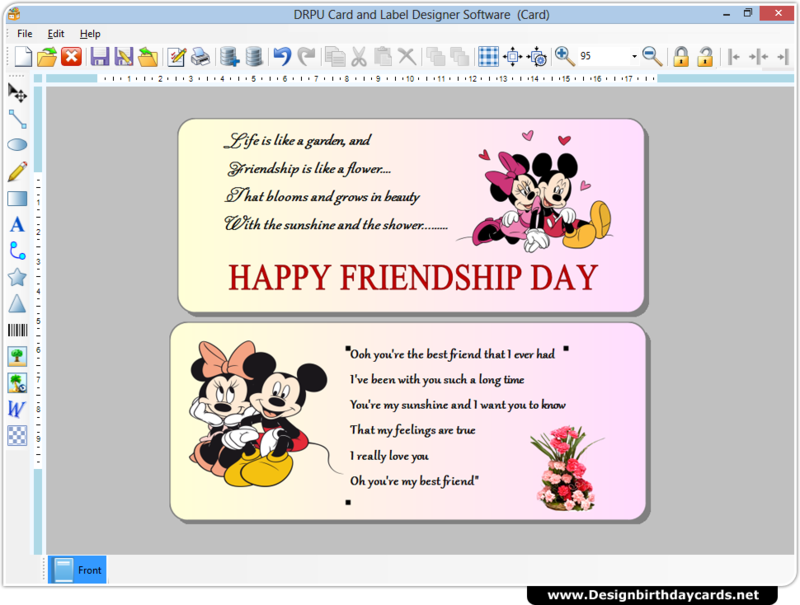 Front and Back view of card designed by DRPU Card and Label Software.